It is always good news when a test system is designed that provides reliable results for in-situ applications. As reported, no one was able to resolve the true amount of usable nitrogen in the soil. This meant that fertilization was proceeding by guess work and exhibiting a huge margin of error. Of course, we all knew that. This Has been the main cause of over fertilization. One specific reason that I am so keen on the adoption of biochar, is that the carbon will sponge up the surplus nitrogen and hold it over to the next cropping cycle. It will do the same for all free ions and become the soil’s nutrient bank. Thus biochar will eliminate the present uncertainty. My only remaining question is whether it is able to handle over fertilization economically and biologically well. In the meantime we now are developing protocols for measuring usable nitrogen as opposed to nitrogen already bound. This is been done for rice and will soon be applied to other crops. We are on the way to turning a farmer into a lab technician. A new soil test for nitrogen fertilization of rice may not sound like blockbuster technology, but it is, said Chuck Wilson, extension rice agronomist with the University of Arkansas Division of Agriculture. The new technology is the first and only site-specific test of mineralizable soil nitrogen as a basis for nitrogen fertilizer recommendations in any crop. It will help farmers apply just the amount of nitrogen fertilizer needed to maximize yields with no excess to run off in surface water, Wilson said. The new test, called "N-ST*R" (Nitrogen Soil Test for Rice), has been previewed at summer field days by Division of Agriculture soil scientist Richard Norman and his doctoral student, Trenton Roberts. If validation studies in 2009 work as expected, verification studies will be implemented in fields of cooperating farmers in 2010, Wilson said. "I'm extremely excited about it," said Marvin Hare Jr., a Jackson County farmer and a member of the Arkansas Rice Research and Promotion Board, which is funding the research along with the USA Rice Federation. "It has the potential to be one of the most important research developments (for rice farmers) in a long time," Hare said. "It will give us a tool to more accurately manage our nitrogen fertility." Hare said following the new test recommendations could reduce or eliminate nitrogen in surface water run-off from fields. "Anything we can do to enhance sustainability is a good thing, especially when it can increase yields and reduce input costs," Hare said. Greene County rice producer Terry Gray said the new test "has the potential to be revolutionary." He said he will run his own trials by following the test guidelines in one or more strips of rice and comparing it "to what I have been doing" in adjacent strips. Gray said it will take time for farmers to gain confidence in the test, because their instinct is to add nitrogen if plants in a field show visual symptoms of nitrogen deficiency such as yellowing of leaves. The color and size of plants in some test plots have the appearance of a slight nitrogen deficiency during late reproductive growth, but yields have not been affected when test guidelines were followed, Norman said. 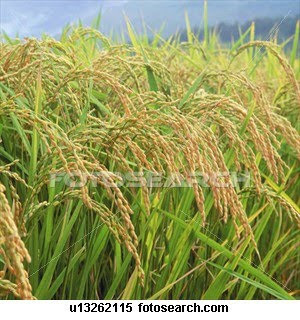 Nitrogen fertilizer is one of the biggest expenses in rice production and its price is affected by the volatility in oil markets. "You want to squeeze all the yield you can out of your nitrogen investment without leaving any on the table," Gray said. "We've probably been putting too much on." The N-ST*R method has been validated in field tests for the entire range of silt loam soil conditions in Arkansas, Norman said. Most Arkansas rice is grown on silt-loam soils. Research is continuing to develop a nitrogen fertilizer calibration curve for clay soils. Currently, farmers estimate nitrogen needs based on a blanket recommendation for each soil type, previous crop and their experience with past rice crops. Validation tests have shown that the standard recommendation is usually either too little or too much, Norman said. "Eliminating over-fertilization is just as important as being sure you apply enough," Norman said. "After the plant gets all the nitrogen it needs, the rest just feeds the fungi" that cause plant diseases such as sheath blight and blast. Too much nitrogen fertilizer can also lead to lodging and yield loss and can delay maturity and add plant residue that can slow combines as they harvest the grain, he said. The potential savings to farmers in many cases will include lower nitrogen fertilizer bills and less fungicide to control diseases, Norman said. Fields where the standard nitrogen fertilizer rate was too little should see a yield increase. Norman said the test predicts the amount of "mineralizable soil nitrogen," which is the form that feeds plants. Until now, there was no such test because nitrogen exists in many organic forms in a constant state of change in the soil, he said. The amount actually available to plants has been hard to pin down. Norman has worked on the problem periodically over the last 20 years as a Division of Agriculture soil scientist. He and his colleagues finally solved the chemistry puzzle by identifying measurable soil nitrogen fractions that reliably predict the amount of mineralizable soil nitrogen available to plants. The solution worked great in laboratory and greenhouse tests, but not in field tests until they took a fresh look at how soil samples were collected in the field. The glitch proved to be the conventional practice of taking soil samples at a depth of four to six inches. "When we took samples down to 18 inches, which is the effective rooting zone of the rice plant, our field test results matched our lab and greenhouse test results," Norman said. Solving the problem and designing an economical and reliable test protocol was a team effort, Norman said. The team included his former doctoral students and now Division of Agriculture professors, Chuck Wilson and Nathan Slaton, extension rice agronomist and director of the Soil Testing and Research Program, respectively. Former graduate students Jeremy Ross, extension soybean agronomist, and Jacob Bushong, now with the USDA Natural RTesources Conservation service, were assigned different aspects of the project for their graduate studies. Norman's current doctoral student, Trenton Roberts, designed and conducted the basic laboratory research to determine which organic nitrogen fractions in the soil at various depths are measured by the test. Roberts also gathered the vast amount of field data needed to prove that N-ST*R is able to predict the nitrogen fertilizer required to optimize rice yield on silt soils in Arkansas, Norman said. A recent addition to the team is Anthony Fulford, a doctoral student who will concentrate on developing N-ST*R for clay soils, Norman said. Cooperators in extending this new technology to other rice-producing states are university soil scientists Tim Walker, Mississippi State; Dustin Harrell, Louisiana State; and Gary McCauley at Texas A and M. The other states are a year or two behind Arkansas with field trials to document reliability of test protocols. This new technology will not be patented, Norman said. He decided to leave it in the public domain to simplify implementation by the Division of Agriculture's soil testing program and soil testing programs in other states. Another reason was to enable his graduate students to publish their research results without the restrictions of a pending patent application, he said.